Paul began his career in the electrical industry almost a quarter of a century ago when he apprenticed as an installation electrician for a local electrical contracting company. A move to Norwich City Council’s electrical maintenance department – working predominantly in street lighting – followed before Paul became a self-employed contractor, working for major companies and projects including SLP Ltd, Norwich’s Castle Mall, Sizewell B Nuclear Power Station, and Bernard Matthews Plc. 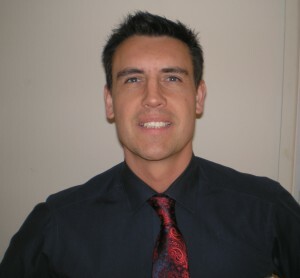 Paul subsequently joined the Bernard Matthews Group workforce as a Maintenance Electrician. In this role, he re-trained to become a Multi-Skilled Engineer, obtaining his HNC in Mechanical Engineering, NVQ Level Three in Electro-mechanical Maintenance, and City & Guilds in Industrial Refrigeration. Paul spent a further five years working at Unilever as a Multi-Skilled Engineer, where he went on to become a Total Preventative Maintenance (TPM) Engineer, playing a leading role in the implementation of the organisation’s TPM program at a local level. In 2005 Paul purchased T. T. Jones Electrical Ltd – assuming full control of the business three years later. Since then, Paul has played a leading role in relocating the business from its previous base in North Norfolk to its current headquarters in Norwich, and significantly increased the company’s turnover. Over the last five years the business has invested in new equipment, staff and training, with a heavy emphasis on the company’s health & safety and environmental impact.